Small countries have often argued that the interaction of factors such as diseconomies of small scale, huge costs for imported inputs, the cost of isolation and remoteness, and the costs of physical dispersion have hindered their ability to attract foreign investment in a globalised market. 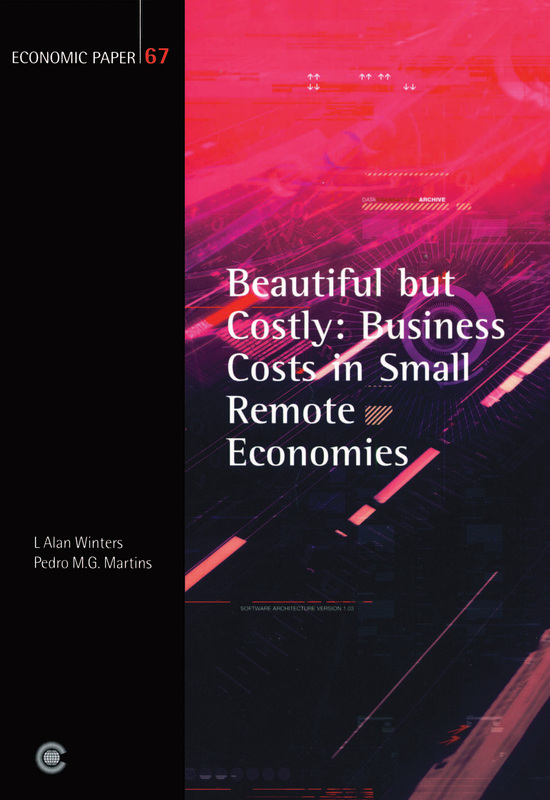 This publication is a study of the operating costs confronting the private sector in small economies, with the view to determine whether these act as a fundamental impediment to trade and investment. Is the private sector in these economies fundamentally disadvantaged in its preparations for globalisation because its costs are higher than in large ones? Further, are any of the detectable cost structure disadvantages the result of poor economic management and/or of fundamental structural characteristics? The outcome of the study offers a brief speculation on the type of policy interventions the international community could devise to assist those countries that face high costs structures by virtue of their inherent structural characteristics.